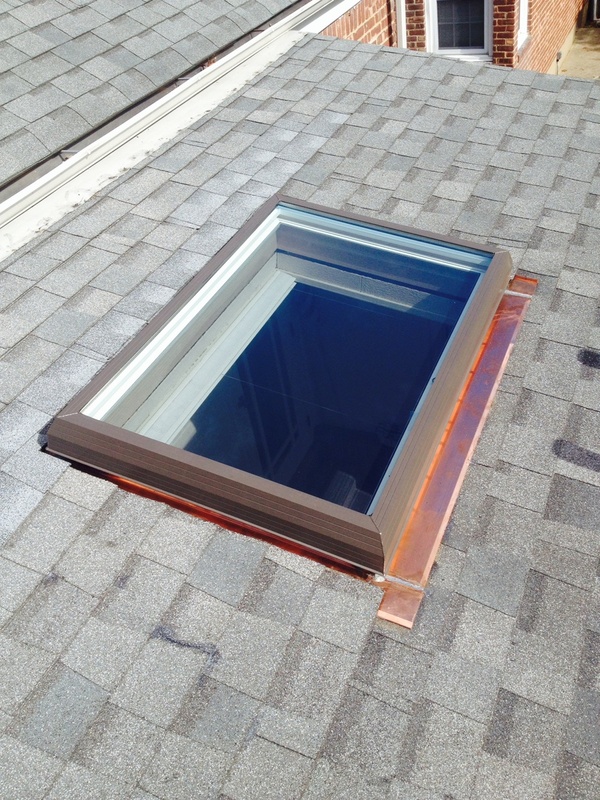 Looking for a new skylight or a skylight replacement? 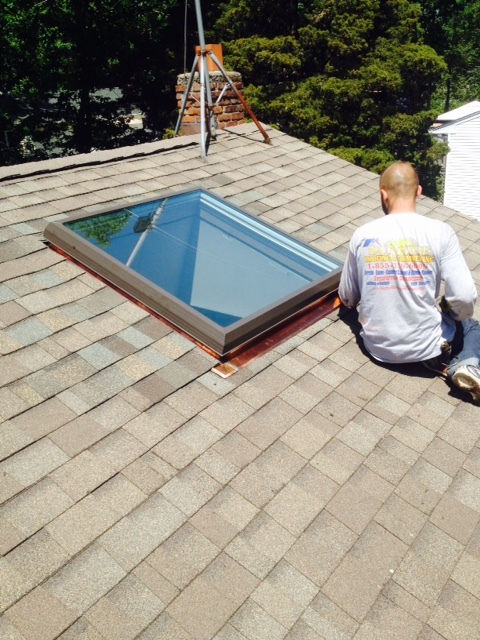 Our technicians are experienced and knowledgeable in skylight installations, replacement and repairs. 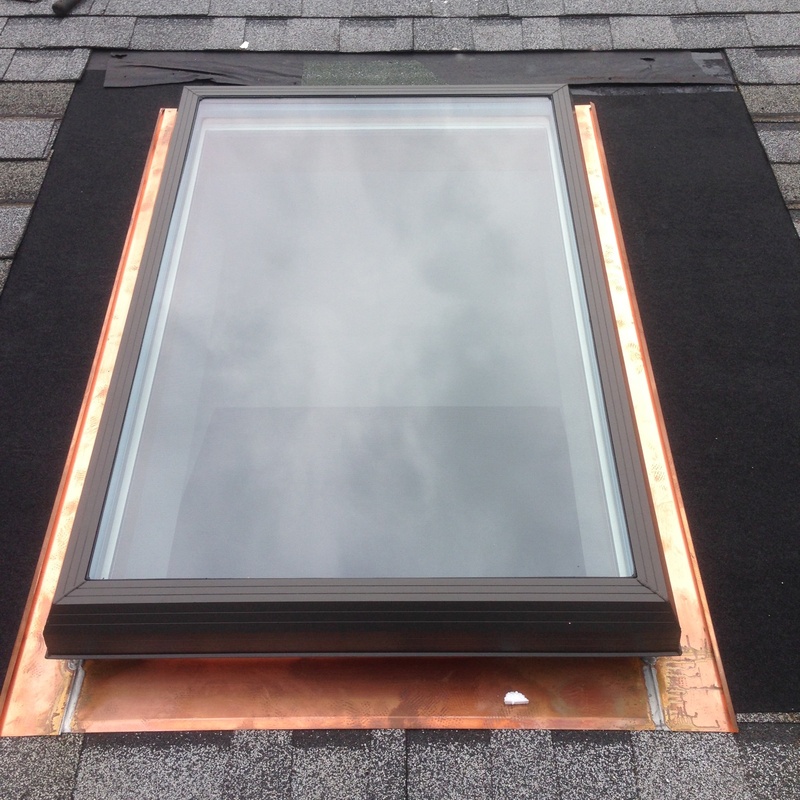 Whether you’re looking to have a new skylight installed or an existing skylight replaced we can help. 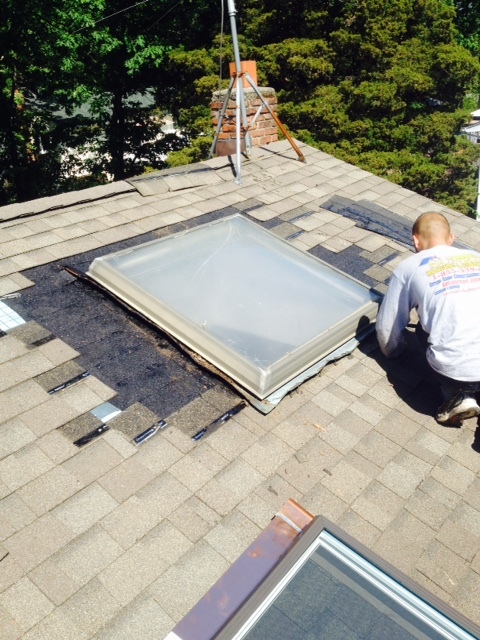 Our licensed technicians are skilled and experienced installing and repairing skylights. 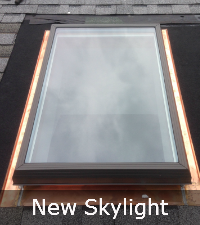 If you’re looking for a new skylight just request a free estimate. 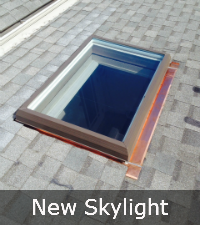 We will send a licensed technician to you to learn about your project, show you our selection of skylights and give you an estimate. 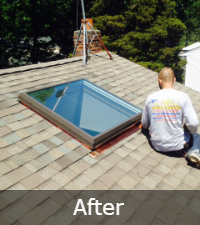 Is your skylight leaking? 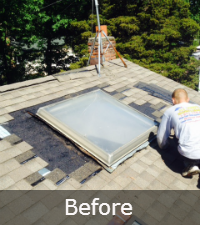 We’re a full service roofing company and we guarantee that your roof leaks stop. If your skylight is leaky or faulty we will be able to tell you just what needs to be done in order to stop the problem from it’s source! 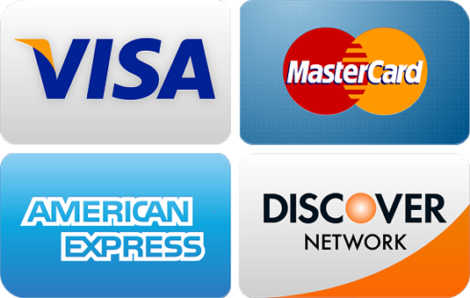 We’re so sure you’ll be satisfied we offer a satisfaction guarantee – that includes up to 10 years on labor and up to 30 years on material depending on the manufacturer.